SPACE STATION NATHAN: NaNoWriMo is finished! ...wish my novel was. Nate!! It still says Na! No! WriMo! up on the top in the mouths!! He will come back maybe if not changed!! AAAAAHHHHHHHHHHHH!!! Nice 'do in the new photo. If Chester makes it into a book you might need to change the name. 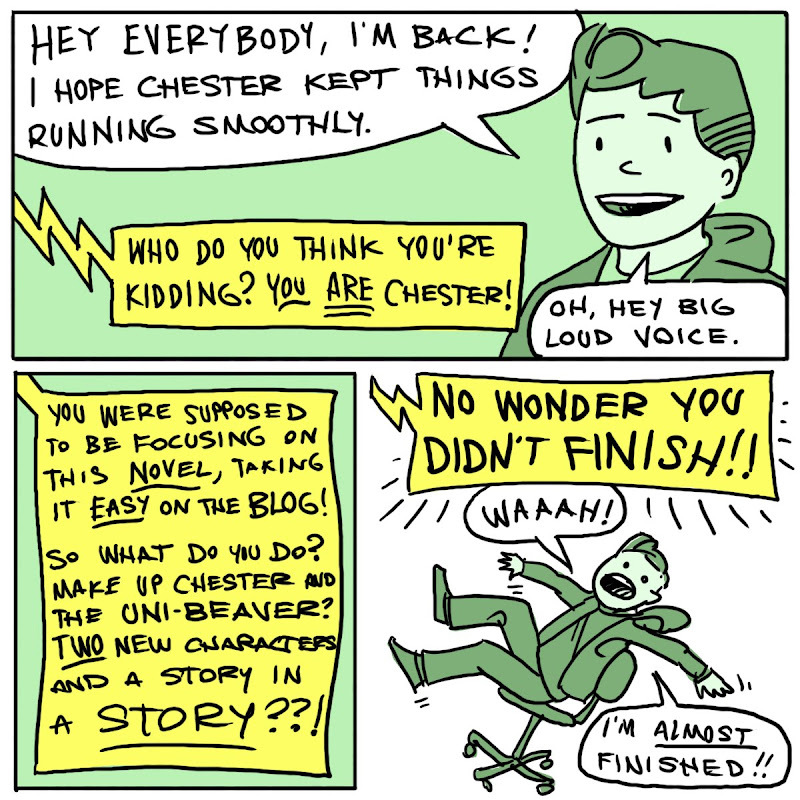 Melanie Watt has beat you to using a Chester as an obnoxious narrator. I'm embarrassed that I know how to spell Cheetoh. It's that "H." Is that how you spell it? There is defiantly room for more than one Chester in the picture book world; I believe Sid Hoff, Kevin Henkes, and James Howe are all members, placing you in good company. I would urge you to check out Watt's Chester, just for the high comedy. The cat Chester and the author Melanie have a battle throughout the book as to who is writing the story and what it is about. As for spelling, you are appealing to the wrong person; I rely on Bill Gates to proof everything I write. You could alway just say Big Cat With Spots. No spelling challenges there.